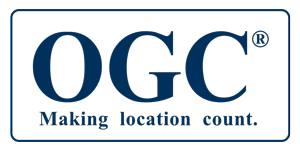 The Open Geospatial Consortium (OGC) is an international industry consortium of over 519 companies, government agencies and universities participating in a consensus process to develop publicly available interface standards. OGC® Standards support interoperable solutions that “geo-enable” the Web, wireless and location-based services and mainstream IT. The standards empower technology developers to make complex spatial information and services accessible and useful with all kinds of applications.